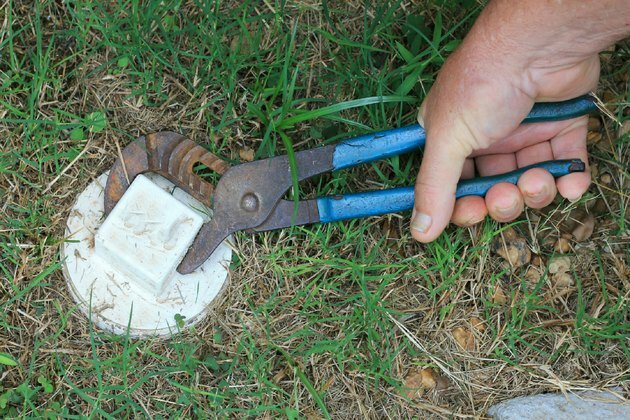 Clean-out plugs are installed at various points along a sewer line. 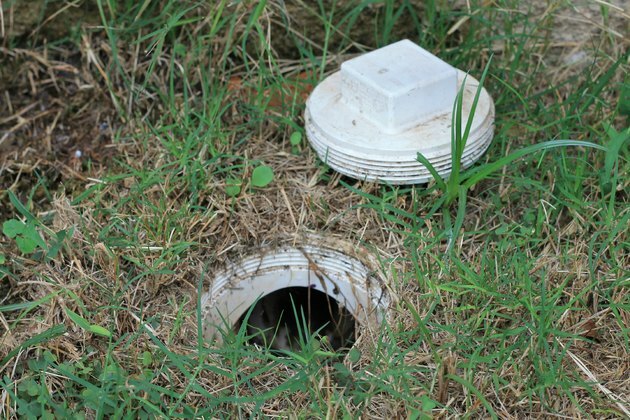 Their purpose is to allow for access inside the pipe so that blockages can be removed more easily by inserting a sewer snake through the clean-out hole and into the pipe. 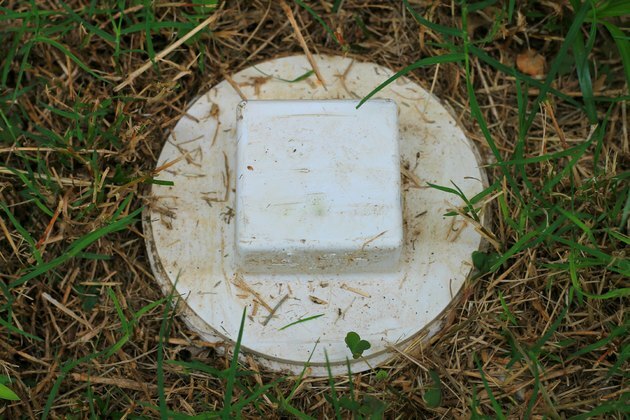 The clean-outs are usually made of the same plastic material as the rest of the pipe -- either PVC or ABS -- and the cap is threaded to the clean-out for easy access. Though the caps can sometimes stick, removing them is a simple process that doesn't take much time. 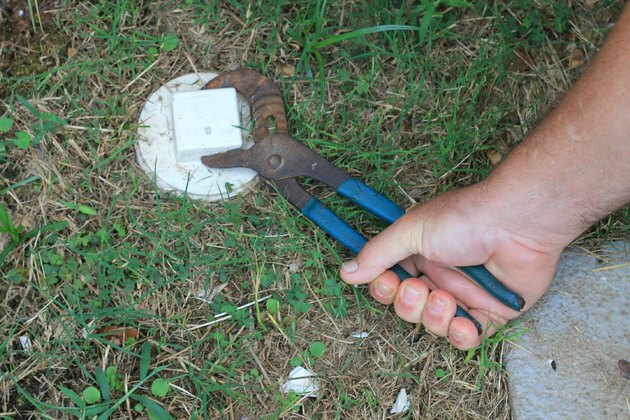 Place an adjustable wrench around the square nut that is molded to the center of the clean-out's end cap. Tighten the wrench in place. 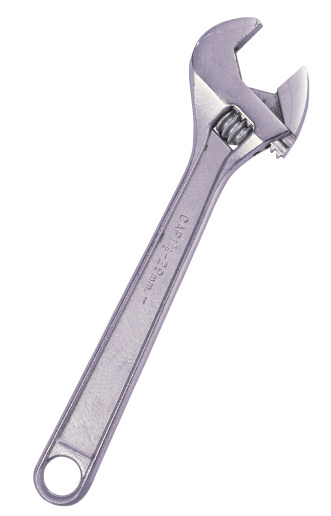 Turn the wrench handle slowly in a counterclockwise direction. This should release the cap's male thread from the clean-out. Continue turning the wrench until the cap's thread is fully released from the clean-out. 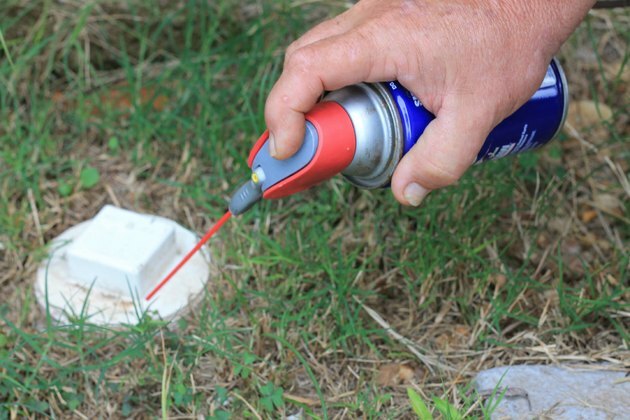 Spray some penetrating lubricant around the seam where the cap threads into the clean-out if the cap won't budge; this can happen if the cap hasn't been removed for some time. Wait 20 minutes for the lubricant to seep into the threads. Place the wrench back onto the cap, and tighten it in place. Turn it counterclockwise again. If it is still hard to budge, apply more lubricant and wait another 20 minutes. Continue in this fashion until the cap can be removed. Steve Sloane started working as a freelance writer in 2007. He has written articles for various websites, using more than a decade of DIY experience to cover mostly construction-related topics. He also writes movie reviews for Inland SoCal. Sloane holds a Bachelor of Arts in creative writing and film theory from the University of California, Riverside. 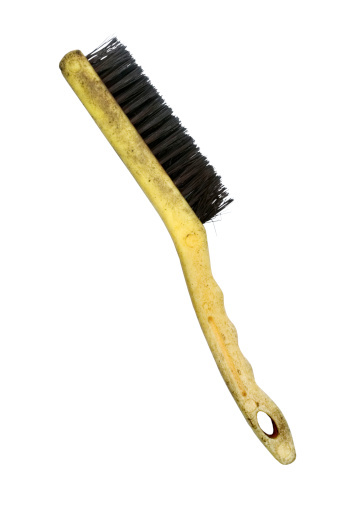 What Is a Cleanout in Plumbing?